Meet the Southbank, a fusion of Melbourne’s inner city living and Perth’s relaxed coastal lifestyle. If you’re young professionals or looking to downsize, this generous 4x2 home (designed for a 12 m wide block) will let you live the life you love. 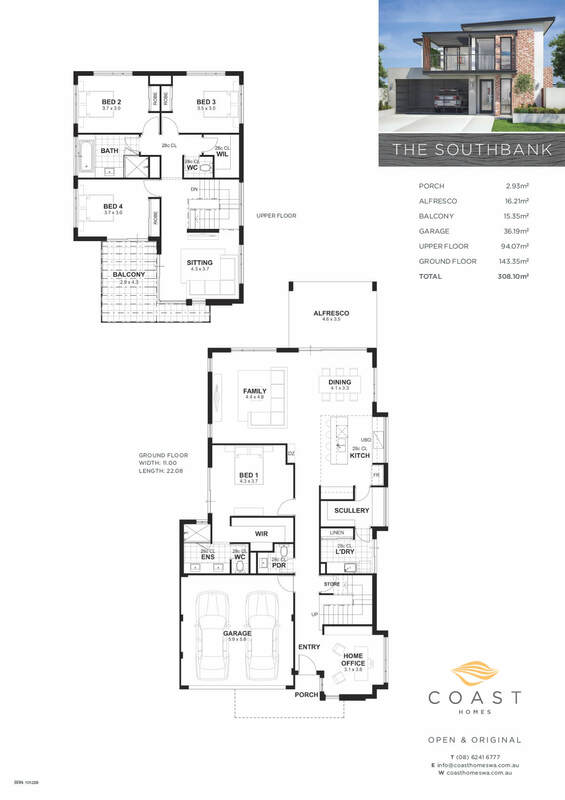 Meet the Southbank, a fusion of Melbourne’s inner city living and Perth’s relaxed coastal lifestyle. If you’re young professionals or looking to downsize, this generous 4×2 home (designed for a 12 m wide block) will let you live the life you love. You can work in peace in the home office at the front, away from the activity of the rear living areas, with your luxurious master suite and private dressing room separating the spaces. Off the kitchen, the scullery and laundry are within arm’s reach of the open-plan living areas, but tucked neatly out of sight. Wander upstairs and you’ll find the remaining three bedrooms, with a sitting room and balcony. 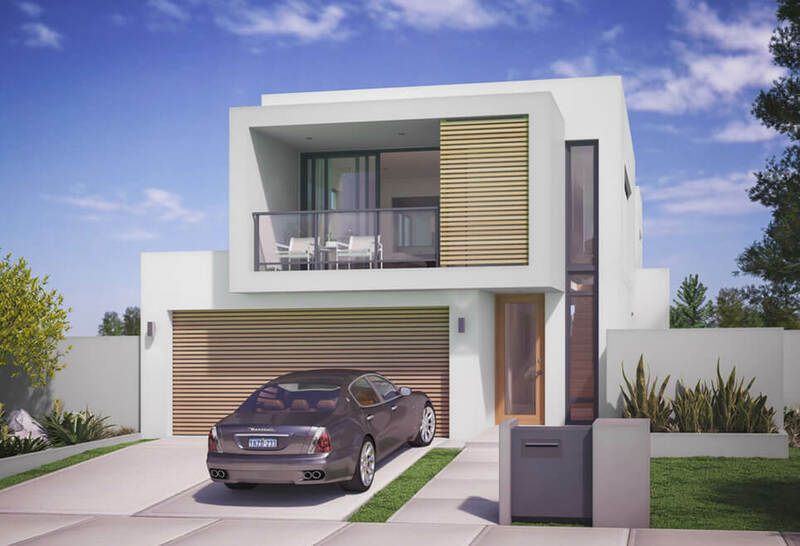 Our two storey home builders in Perth have created the perfect retreat for your guests or young adult children. 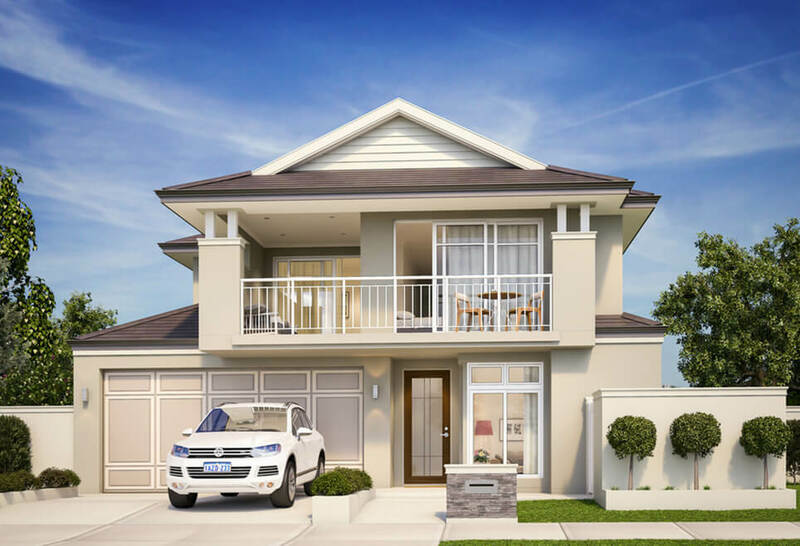 See our entire collection of two storey homes in Perth.